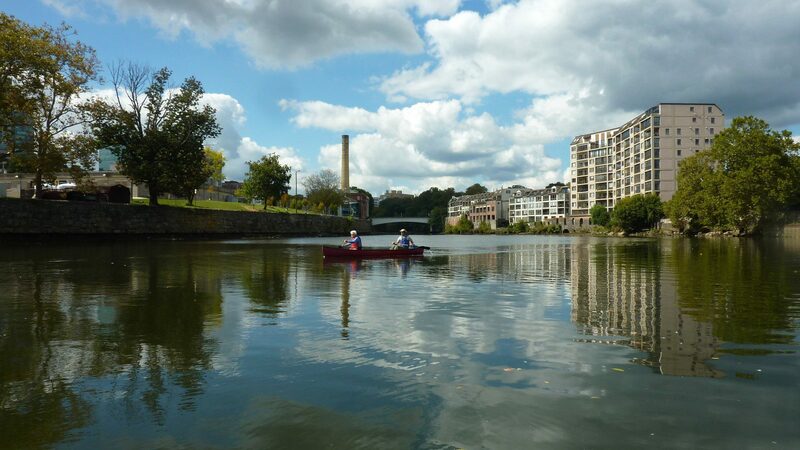 The weather could not have been more perfect for the first ever Delaware Nature Society trip on the Lower Brandywine – a trip through the rarely experienced urban wilderness of the Brandywine on the Coastal Plain. 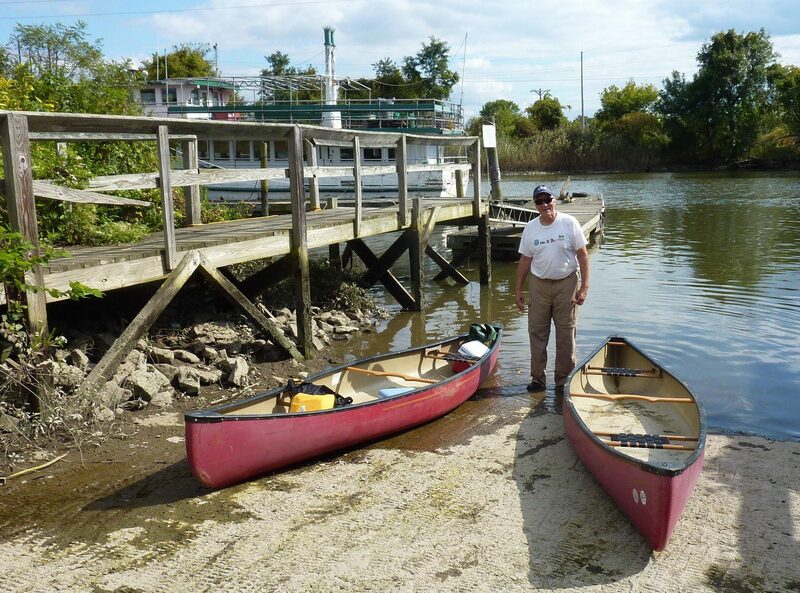 We launched our canoes at the abandoned ‘Up the Creek’ Restaurant boat ramp at low tide. 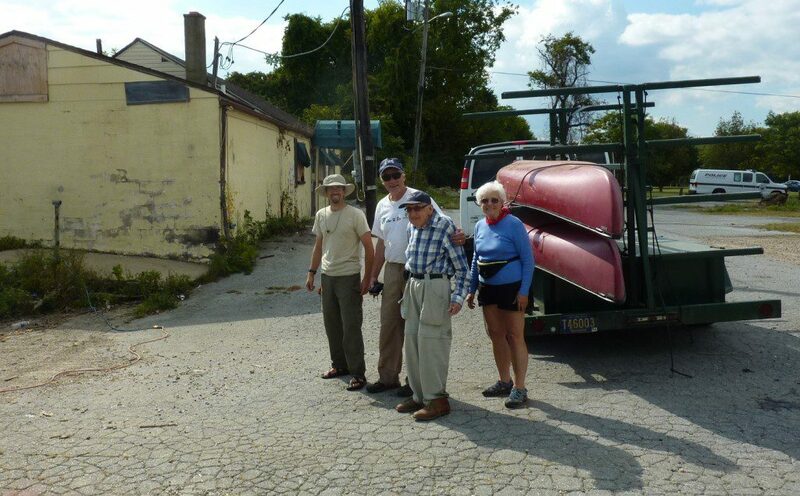 This boat ramp is almost directly on the confluence of the Brandywine and Christina Rivers. The water in the Brandywine was crystal clear, and we could see the bottom for virtually the entire trip. Launching onto the Brandywine River. Much of this trip took us past old industrial sites which are now being used for a different purposes. Canoeing at low tide allowed us to see old boat slips, docks, and foundations that gave a clue to the river’s industrial past. 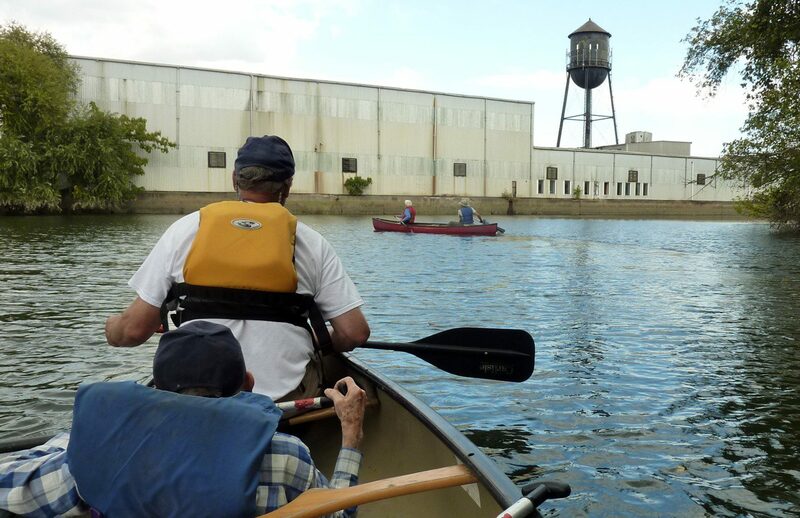 Floating past age-old industrial sites. 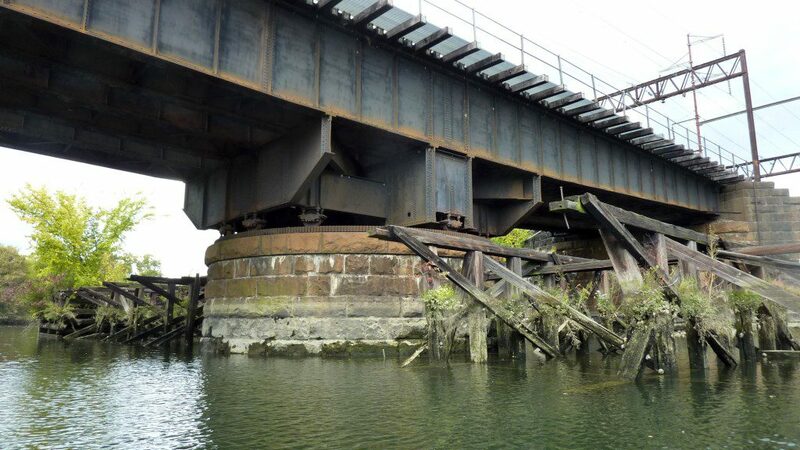 We traveled under the Amtrak RR bridge, and it was obvious that this bridge was built to rotate open for tall boats – Boats that most likely traveled up to the mills at Superfine Flour Mills, which were at Market Street. This bridge once rotated to let tall ships sail up the Brandywine River. Can you see the large gear? Market Street marks the head of navigation, where the Piedmont hits the Coastal Plain, and this is where we turned around. We saw the Brandywine Water Treatment facility, Superfine Land Condos, and shouted to office workers who were jealous of our day on the water. A beautiful scene on the lower Brandywine River. Here we are at the end of our trip at the old Up the Creek Restaurant. Hope to see more of you on this trip next year! 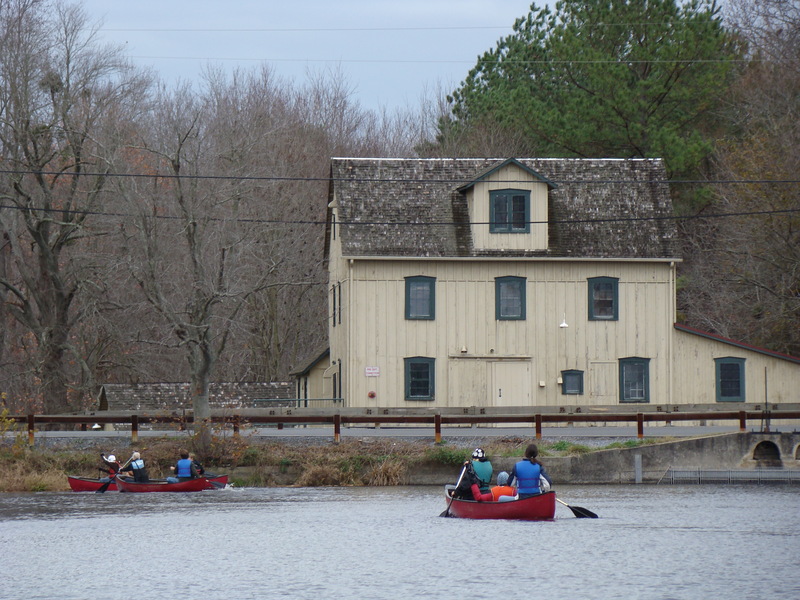 Yesterday, Dave Pro, Catherine Owens and I led 17 Teen Naturalists to Abbott’s Mill Nature Center for some canoeing, exploring, and checking out the old mill. 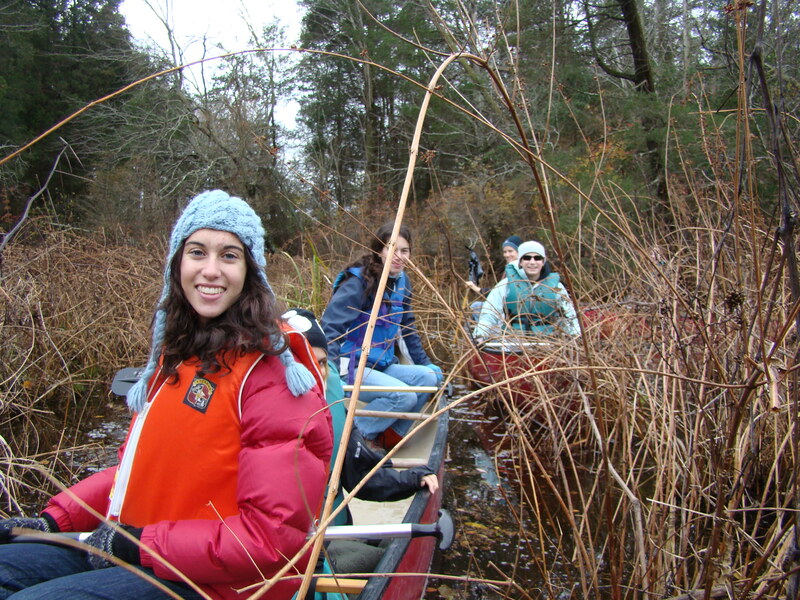 The Teen Naturalists are a group that I have led since 1999 through the Delaware Nature Society. We go on adventures in the outdoors once a month and take a week-long summer trip every August. It is a fun group, and one of the most rewarding parts of my job. 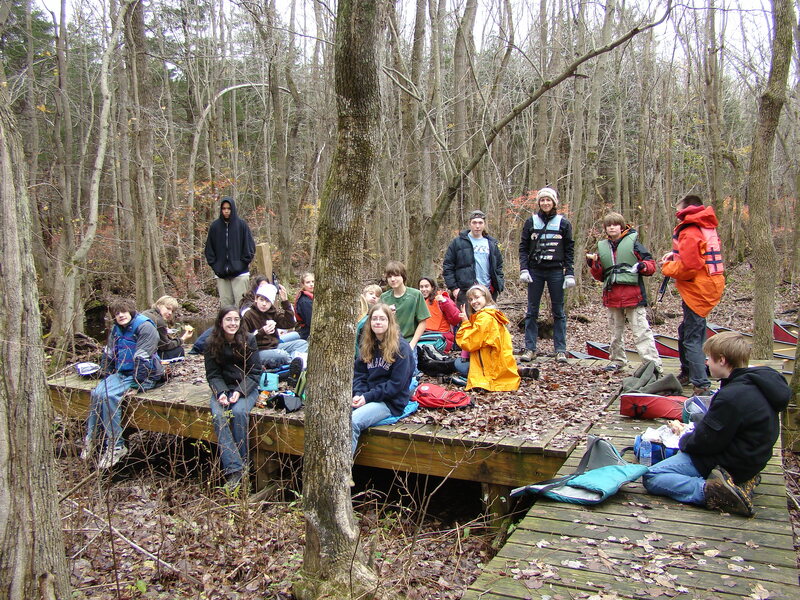 Both Ashland and Abbott’s Mill Nature Centers have a Teen Naturalist program. First, we stopped in to Abbott’s Mill Nature Center since most of the kids had never been there. 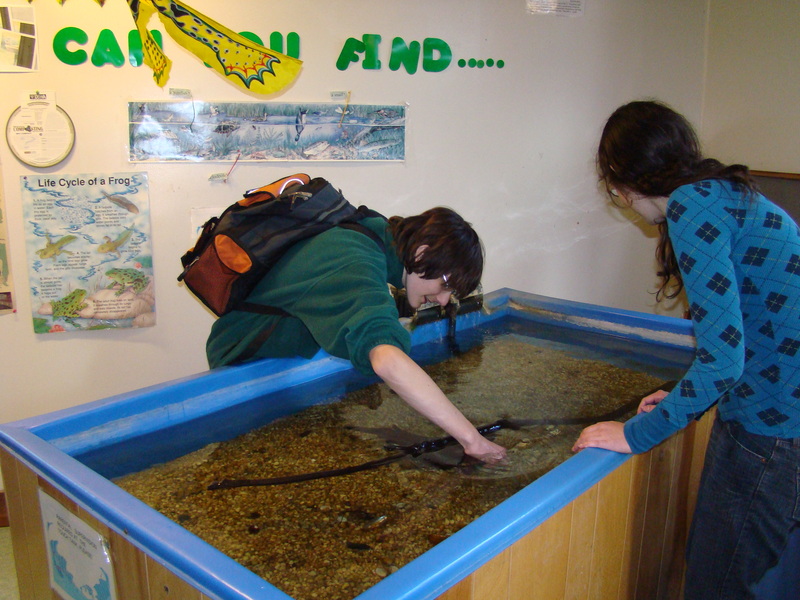 It is different from Ashland Nature Center, in that there are lots of things to see indoors and live animals to enjoy, including the touch tank above. Jason Beale, Abbott’ Mill Nature Center Manager, led everyone on a canoeing adventure on Abbott’s Pond. With the wind whipping, we paddled to the other end of the pond. It was quite a sight to see an adult Bald Eagle soaring overhead. A kingfisher also thrilled a few of us as it angrily rattled its way past. Soon enough, we were mired in a shallow-water swamp and had to cross two beaver dams. Sometimes it is the difficulty of a trip that makes it memorable. It’s almost never as much fun when things are easy! We eventually made it over or around both dams and paddled up Johnson’s Branch, a very small, winding stream in a beautiful Atlantic White-Cedar swamp. Everyone really enjoyed the twisting, turning, and ducking! 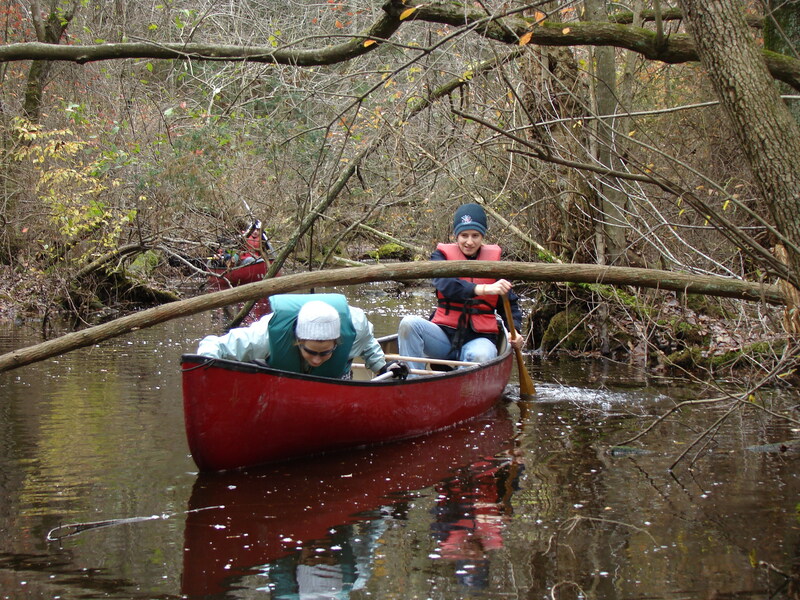 Paddling a small Delmarva swamp-stream was something we hadn’t done before and everyone loved it! We had lunch at a landing in the swamp, and enjoyed being in a primitive, natural area. Paddling back was just as much fun! This is an adventure we should have done years ago.